Pressure Cooker Copycat Killer Shrimp Recipe is so flavorful and you can have it on your table in under one hour. If you love the Killer Shrimp Restaurant in Marina del Rey, you must try this recipe. It’s sooooooo good! 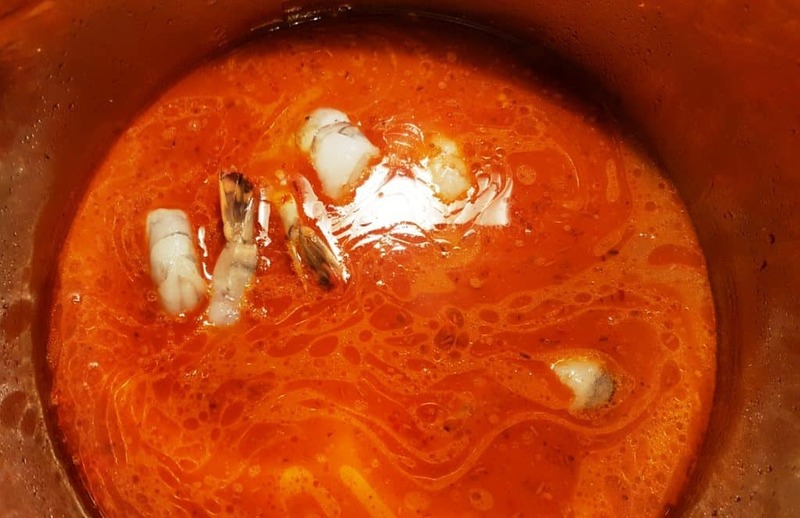 To make the Killer Shrimp on the stove would take several hours for the broth to reduce and the flavors to fuse. 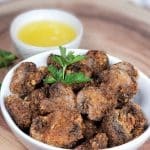 You can now have this Pressure Cooker Copycat Killer Shrimp in your own home and in under one hour using a Pressure Cooker. Thinking about dunking bread in the delicious bread makes my mouth water! The shells of the shrimp have a lot of flavor. 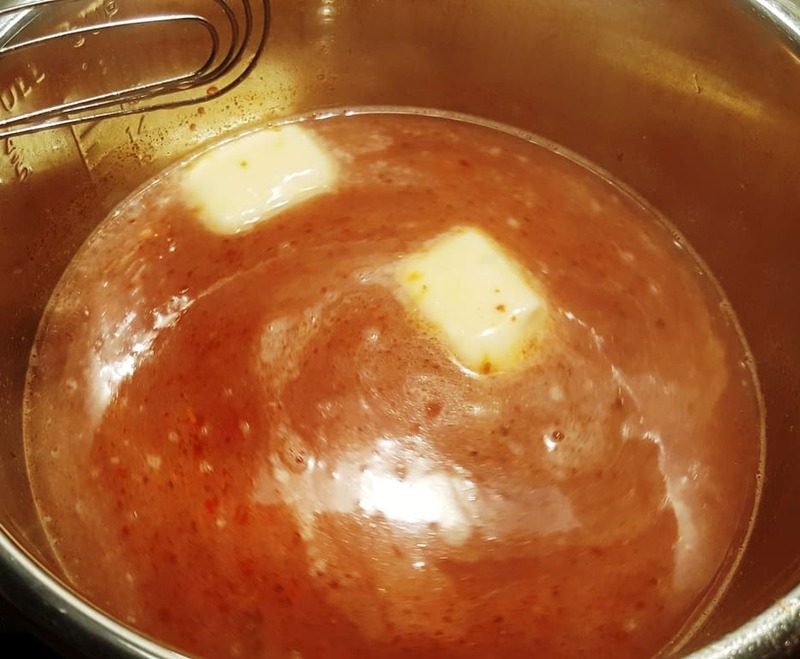 They will simmer in the broth at the end and add great flavor. Fresh Sourdough Bread is listed as one of the ingredients. You really need it. You may even find yourself, pushing away the shrimp and feasting on bread dunked in the broth instead! If you are not a Sourdough Bread baker, try my easy Instant Pot Yogurt Whey Dutch Oven Crusty Bread recipe. It is a great way to use up your Whey. 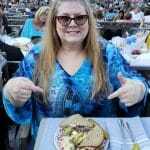 My husband and I have season tickets to the Hollywood Bowl for the summer concert series. We always upgrade our seats to box seats for one show. 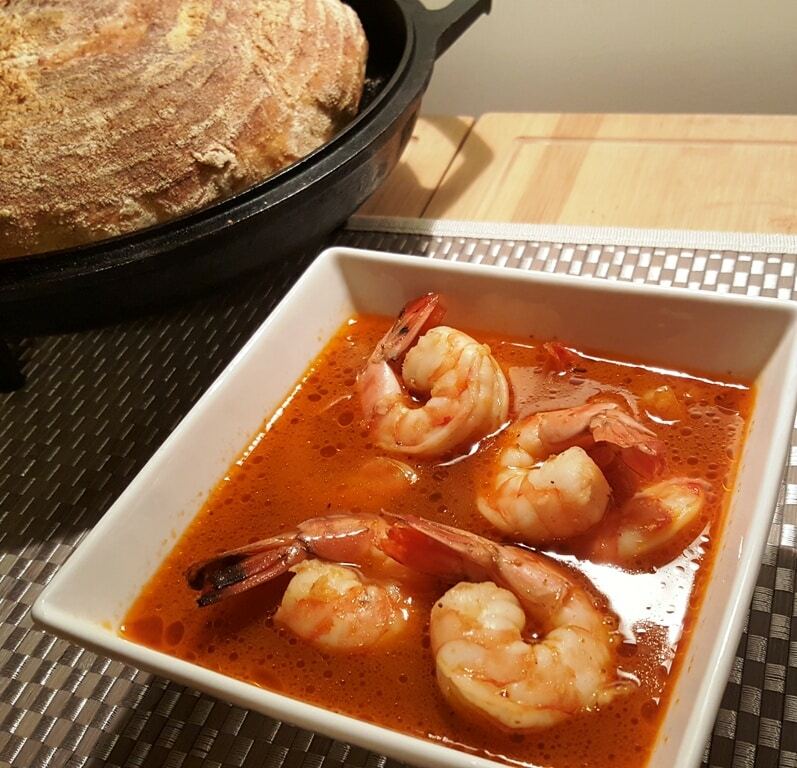 Our picnic meal for that show must be Pressure Cooker Copycat Killer Shrimp Recipe and a loaf of hot Country Sourdough Bread for dunking into the broth. If you are not a Natural Fermentation bread baker, but you love Homemade Yogurt. check out my Instant Pot/GoWise Yogurt Whey Dutch Oven Crusty Bread recipe and make a loaf of bread the SAME DAY! You can even just use water in place of the left over Whey from Homemade Yogurt. You can always purchase a good loaf of bread from your neighborhood bakery. 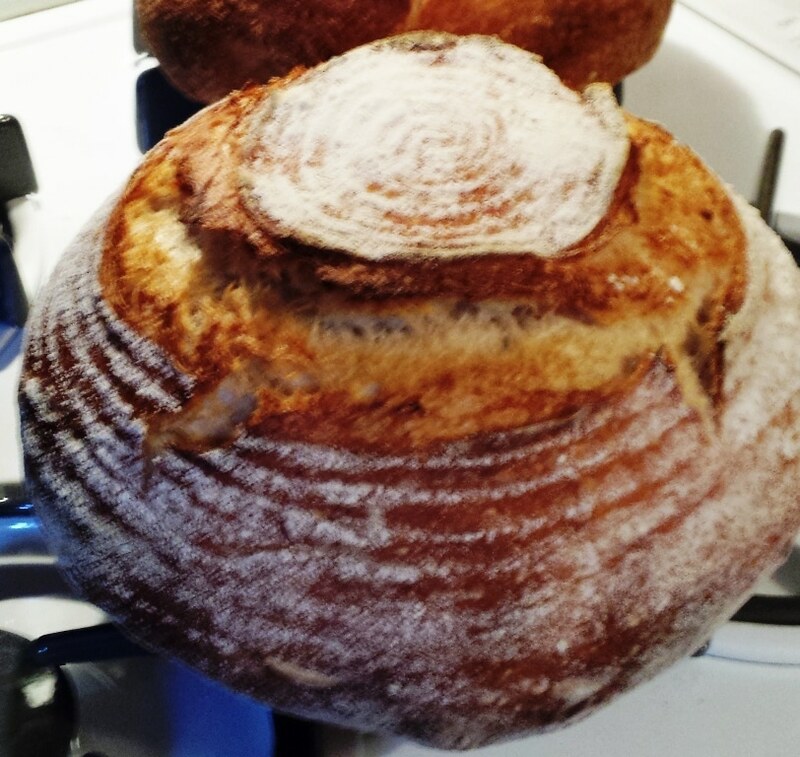 Whichever way you choose, you really need some good bread…. Seriously. The liquid is Gold! 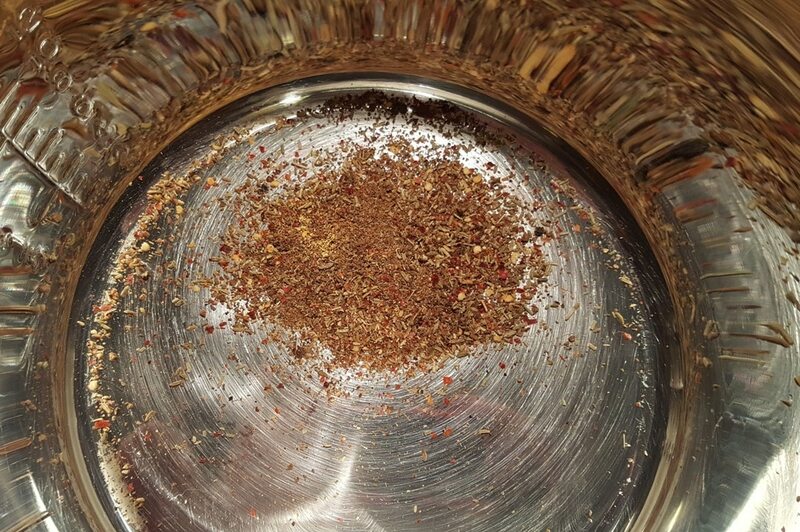 Combine the Thyme Leaf, Rosemary Leaf, Red Pepper Flakes, Fennel Seed and other dry seasonings together. 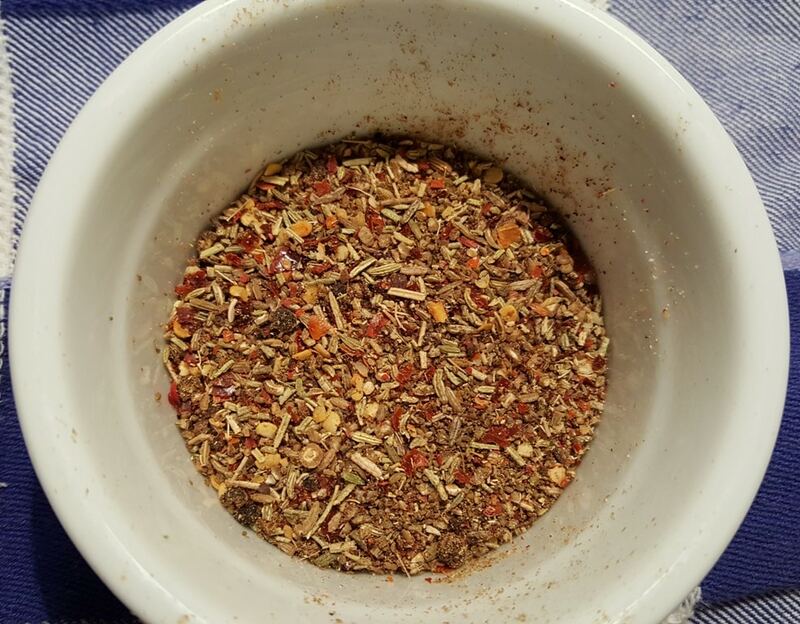 Use either a Mortar and Pestle or a mini food chopper and smash the seasonings. They should be broken, but still recognizable. Lots of flavor will release from smashing the herbs and seasonings. Drop in the seasonings that were just smashed, into the Pressure Cooker cooking pot. 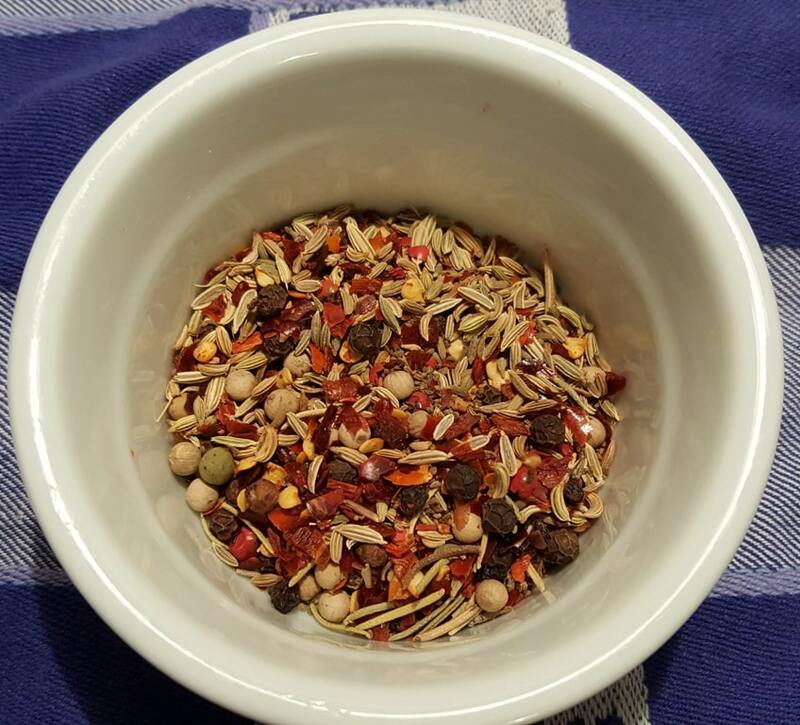 Much of the flavor relies on really good stock, so don’t skimp here. 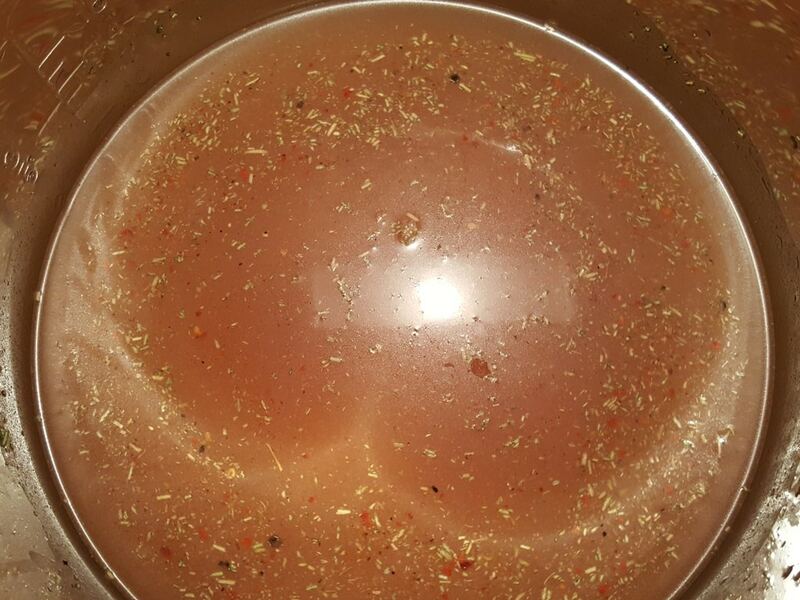 If you have any homemade Pressure Cooker Bone Broth (Stock) in your freezer, get it defrosted. 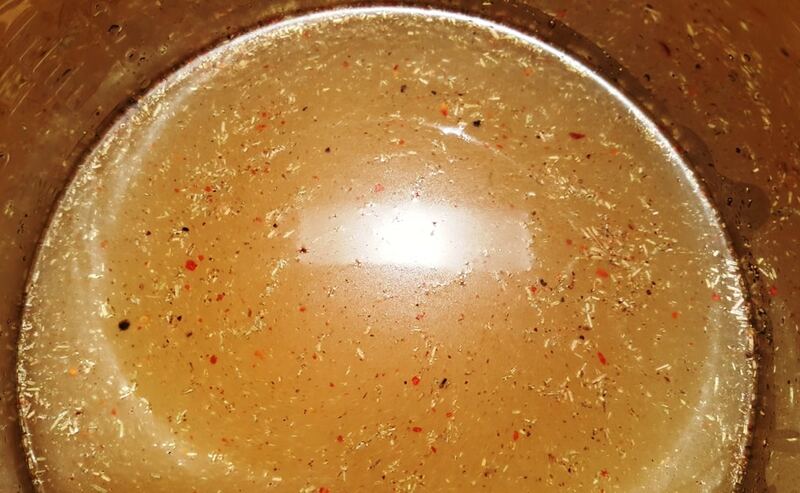 If you don’t, it is really worth it to make your own Pressure Cooker Bone Broth (Stock). 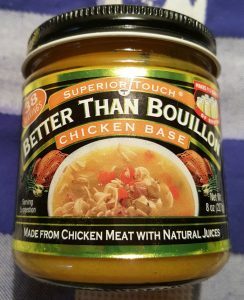 Alternatively, you could use fresh water and Better Than Bouillon. Add in the Tomato Paste, Clam Juice and Fresh Garlic. Please note, this is not a soup. It is not eaten with a spoon. It simply is a bath for cooking the shrimp. The broth is used for dunking in bread. After all pressure has been released, add in the beer. 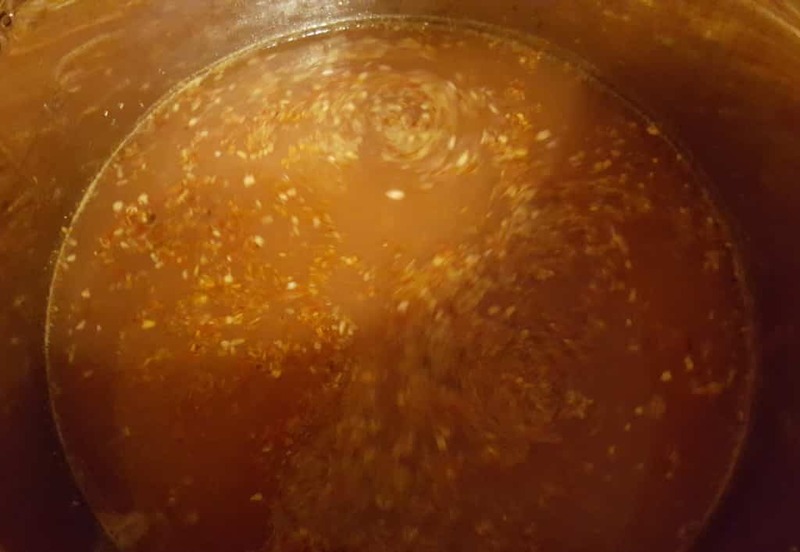 This time, you will cook the broth using Simmer. 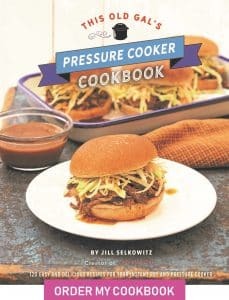 Turn the Pressure Cooker to Sauté and allow the broth to simmer for about 7 minutes. 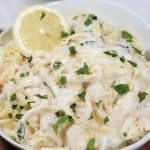 Drop in the cold butter and incorporate it into the Pressure Cooker Copycat Killer Shrimp Recipe. Whisk the butter into the broth. Allow it to melt. 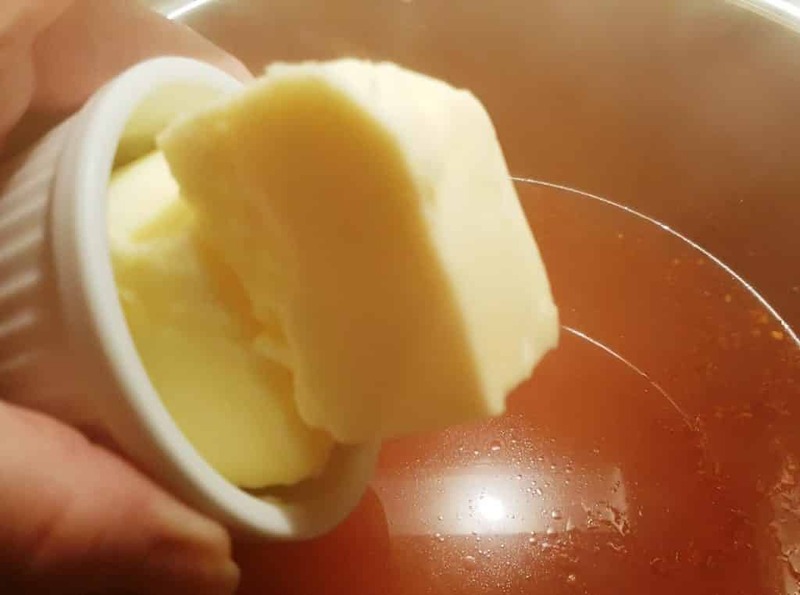 If you want your broth to be extra buttery, add in more butter. Carefully drop in the Raw Shrimp. Remember, to keep their tails on, so you get all that delicious flavor. The Shrimp will quickly turn pink, so keep your eye on them. It’s been rumored that the restaurant takes a cup of broth from one batch and adds it to the new batch and so on and so on. I don’t know if that is actually true or not, but it certainly will intensify the flavors batch after batch. I use a Lock N Lock Small Container and fill it with a cup of broth and freeze. Next time I make this Pressure Cooker Copycat Killer Shrimp Recipe, I’ll add the frozen block of broth in the first cook cycle. Don’t forget to save a cup from your next batch and so on……. The liquid is really a spicy broth and perfect for ripping a chunk of bread from the loaf and dunking it right into the broth. 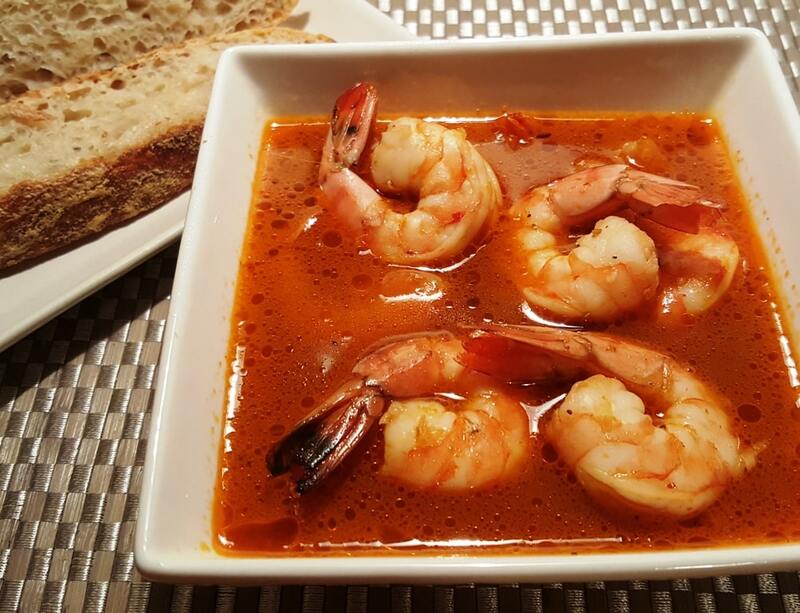 Each bowl should have a good serving of shrimp and lots and lots of broth, which you soak up with a good bread. If you want to make some rice at the same time as the Killer Shrimp, check out my Pressure Cooker Perfectly Cooked Pot in Pot Rice. Add the Pan of Rice after you have added the Beer. This also pairs well with my Pressure Cooker Butternut Squash Pasta. PIN this Pressure Cooker Copycat Killer Shrimp Recipe! Jill this did not turn out for me. The recipe shows it more red than 3 tablespoons of tomato paste did for me. There was hardly any color at all and it tasted like it definately needed more tomato flavor as the spices were overpowering everthing. That night I had made two of your recipes but after eating this I was very worried about my dessert, New york cheesecake in the pressure cooker. BUT..it was so delicious it made up for everything else! I am glad you loved the New York Cheesecake. What else did you make? Mine turned out beautifully red and delicious. I used a good quality tomato paste and a great amber ale .which really made the sauce rich. 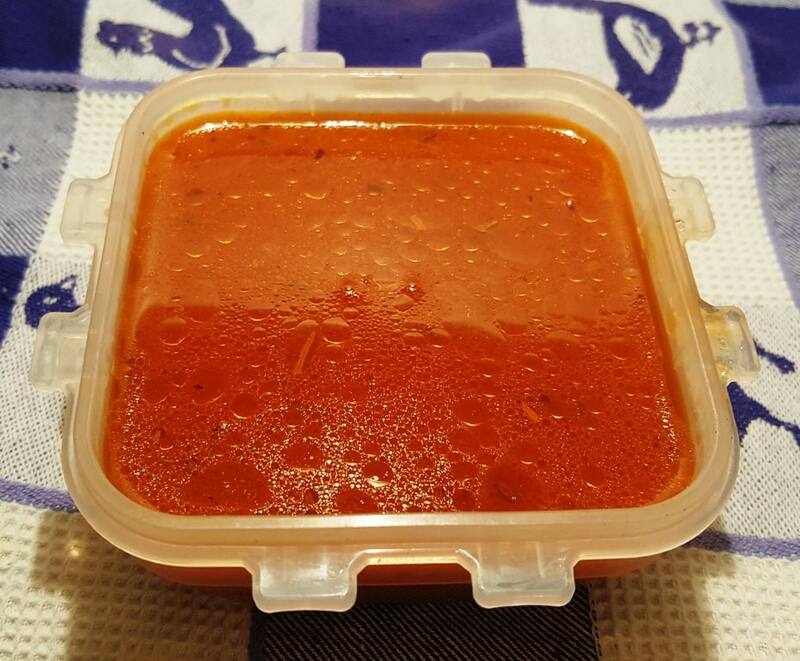 I now have a cup of frozen sauce to use in my next batch! Just returned from grocery shopping and while there I checked out the tomato paste seving. 6Tablespoons equals 3 ounces instead of 3. 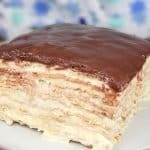 I am so happy to find this recipe! My family used to spend time in New Orleans and always ate what they called BBQ Shrimp. This recipe reminds me so much of that except it wasn’t a red base broth. 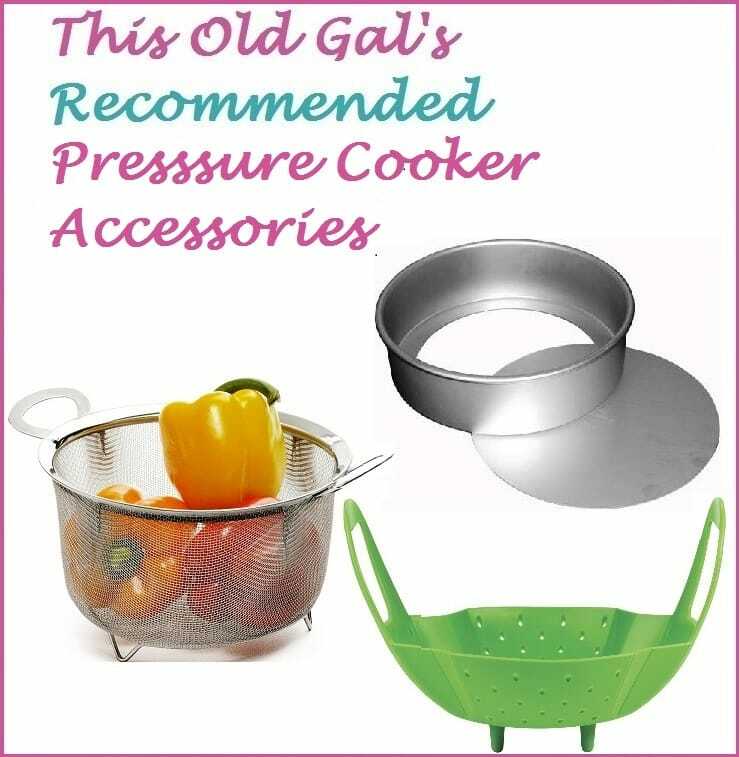 Can’t wait to try it with the little bit of Tomato Paste. 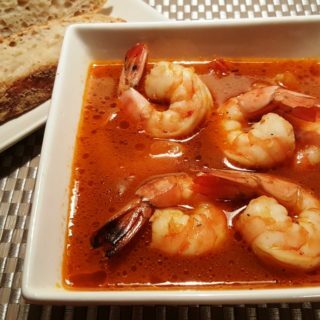 I’ve been missing it so bad, the bread in the broth with all of those seasonings~~MmmMmm Who needs the Shrimp?! When do you add the shells? Can’t print the recipe. Link not working. 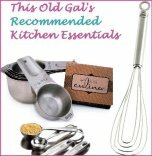 First of all, let me say I love your recipes. The New York cheesecake, bourbon pumpkin cheesecake and grits are in our permanent rotation here. 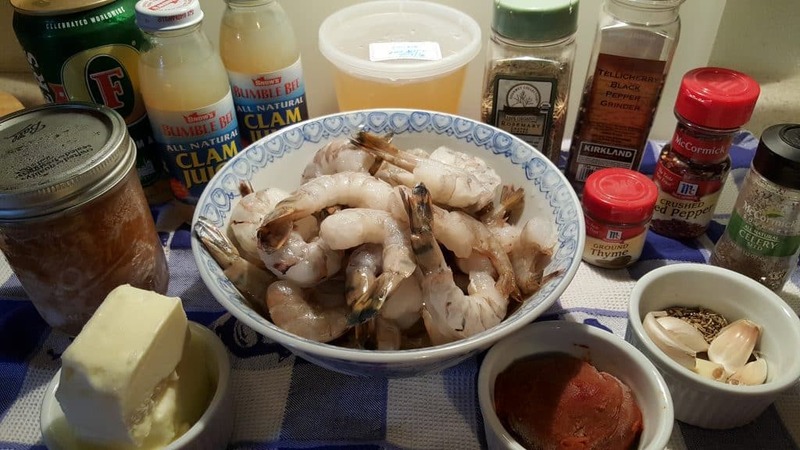 My friend in California loves killer shrimp, and goes on about how great it is, so I really want to try making this recipe. However, I have an IP Lux, so I do not have low pressure. 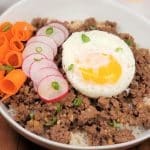 Is there a way to modify the recipe to use high pressure, or should I just wait until Black Friday and see whether I end up with a second pressure cooker?